Israel lies at the center of the territorial caliphate envisioned by ISIS - and that's only its second greatest security concern. A new Likud-led government will take office in Jerusalem in the upcoming weeks. The government will have to face many security challenges emerging from the turbulent strategic environment. The most important issue is Iran. The US is racing toward an agreement that will legitimize the nuclear threshold status of Iran. Many key Mideast powers have signaled their displeasure with the nascent accord, as well as their desire to develop uranium enrichment capabilities on par with Iran. The American attempt to offer a nuclear umbrella to forestall regional nuclear proliferation – which is a strategic nightmare – is doomed to failure. No Arab leader trusts President Obama. Therefore, only a military strike to destroy the Iranian capability to produce fissionable material needed for nuclear bombs can stop nuclear proliferation in the region. The US is racing toward an agreement that will legitimize the nuclear threshold status of Iran. The only country with 'enough guts' to do this is Israel. This decision must be taken by the next Israeli government. The timetable for such a strike is not to be determined by additional Iranian progress on the nuclear path, but by the perceptions of regional leaders of Iranian ambitions and power. The expansion of Iranian influence to Iraq and Yemen, in addition to its grip over Syria and Lebanon, has heightened threat perceptions. American willingness to accept a greater Iranian regional role undermines American credibility and underscores the need for Israeli action in the near future. An Israeli strike is needed to prevent nuclear proliferation and to prevent imperial and Islamist Iran from acquiring hegemony in the Middle East. History indicates that such Israeli actions are not welcomed by American administrations, but are highly appreciated later on. In this case, it is Israel that will have to save the Americans from themselves. Israel's main challenge is to maintain its freedom of action, while on a collision course with current American policy. This is not an easy endeavor, but Israel has large reservoirs of goodwill in the US that should allow Israel to act on its cardinal security interests against the will of an unpopular American president. Israel's main challenge is to maintain its freedom of action, while on a collision course with current American policy. Despite the fact that some of the Arab armies that posed a threat to Israel have largely disintegrated and the power differential between Israel and its Arab neighbors grows constantly, the Jewish state still faces great hostility from Islamist sub-state armed groups. Hezbollah, Hamas and Islamic Jihad cannot conquer Israel, but have acquired impressive capabilities to cause massive damage to Israel. Large armored formations are still needed to tackle those challenges. In addition, Israel's active defense missile capabilities must be augmented. Unfortunately, the IDF is underfunded, which has led to cuts in ground forces and in training for the regular army and its reserves. Whoever will be the new defense minister has the task of securing a much larger, multi-year military budget on which the IDF can definitively plan a sustained force build-up. Israel's strong economy can definitely sustain larger defense layouts. Another area that needs attention is the navy. Over 90 percent of Israel's exports travel via the East Mediterranean. Moreover, this area is rich in energy resources that are vital for Israel's future prosperity. Yet, the East Mediterranean is increasingly becoming an Islamic lake. Israel must prepare for worst-case scenarios, not best-case dreams. Turkey under Erdogan grows more hostile every month. 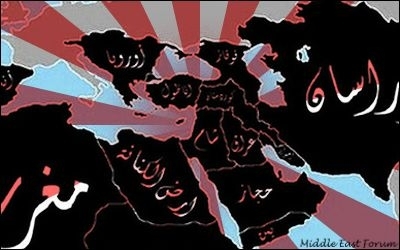 Syria is an Iranian ally, and its civil war has brought about the rise of Islamist militias of all kinds. Lebanon is largely ruled by Hezbollah – a Shiite radical organization aligned with Iran. Hezbollah occasionally perpetrates attacks against Israel and has threatened to hit Israel's gas rigs at sea. Hamas, a radical Sunni terrorist group linked to Iran, has taken over Gaza. It has launched thousands of rockets into Israel and staged attacks on Israeli gas installations in the Mediterranean. In Sinai, a plethora of Islamist armed groups are challenging the sovereignty of Egypt and even attacked targets along the Suez Canal. Libya is no longer a real state and the Islamist militias are fighting to carve out areas of influence. In short, we may soon see real piracy and terrorist attacks in the East Mediterranean. Israel's responses must include a larger and stronger navy. This is an expensive project that has already started. Hopefully, all budgetary problems will be overcome. Fortunately, some of the vessels needed for this are procured in Germany (not the US), while others can be built in Israel if enough money is allocated. The strategic landscape of the Middle East is begetting new leaders and new ruling elites. Israel's intelligence apparatus faces a difficult job in identifying the important players and their modus operandi. Many of the devils Israel knew are no longer in power. This means greater uncertainty and higher chances of surprises. Since Israel cannot prevent all surprises (that is their nature), it must prepare for worst-case scenarios rather than be tempted by best-case, rosy dreams.